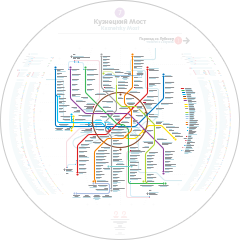 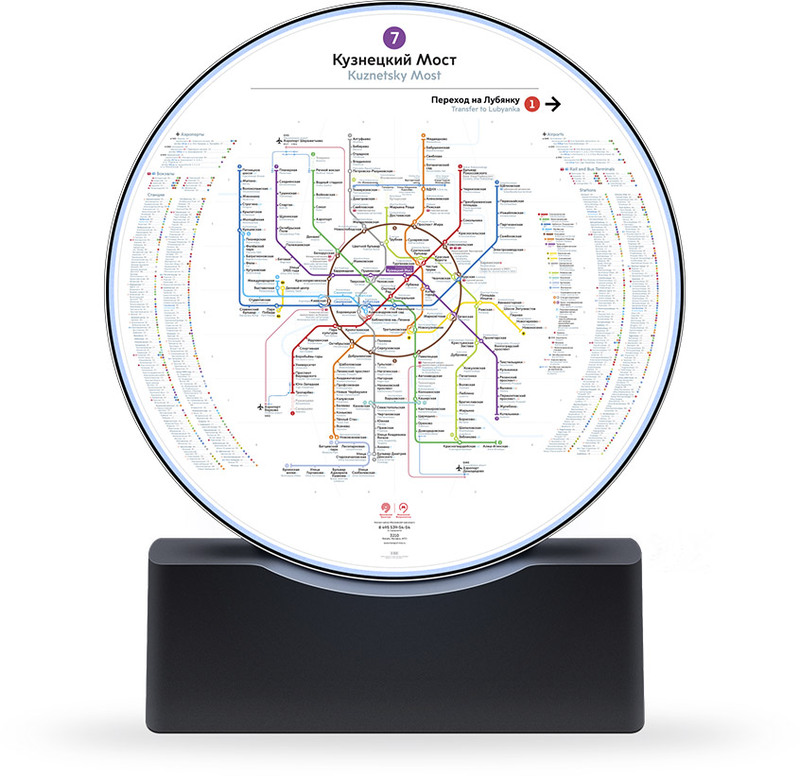 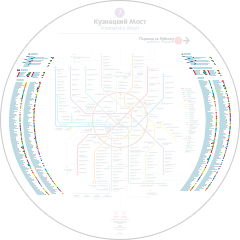 to adapt the Metro map to round format. 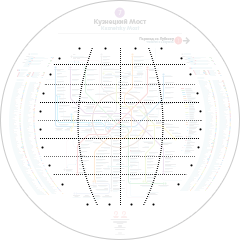 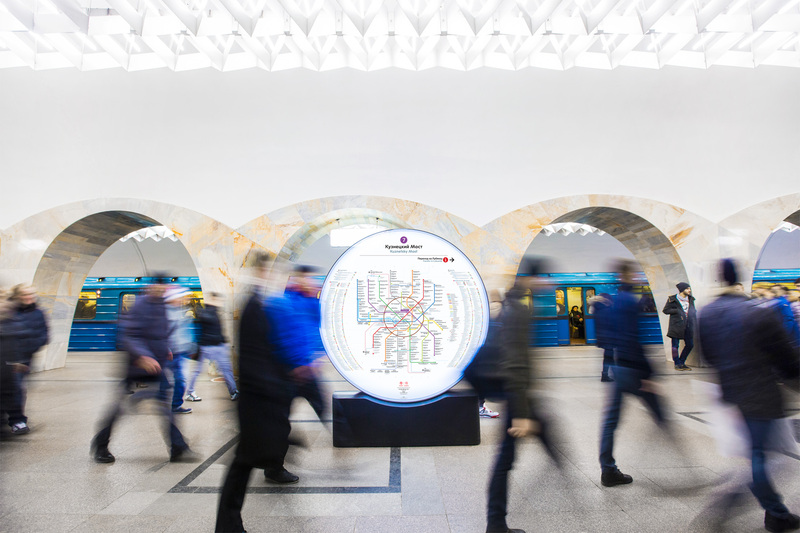 The round map is placed on platforms, in vestibules and near station entrances and helps passengers plan their trip before boarding a train. 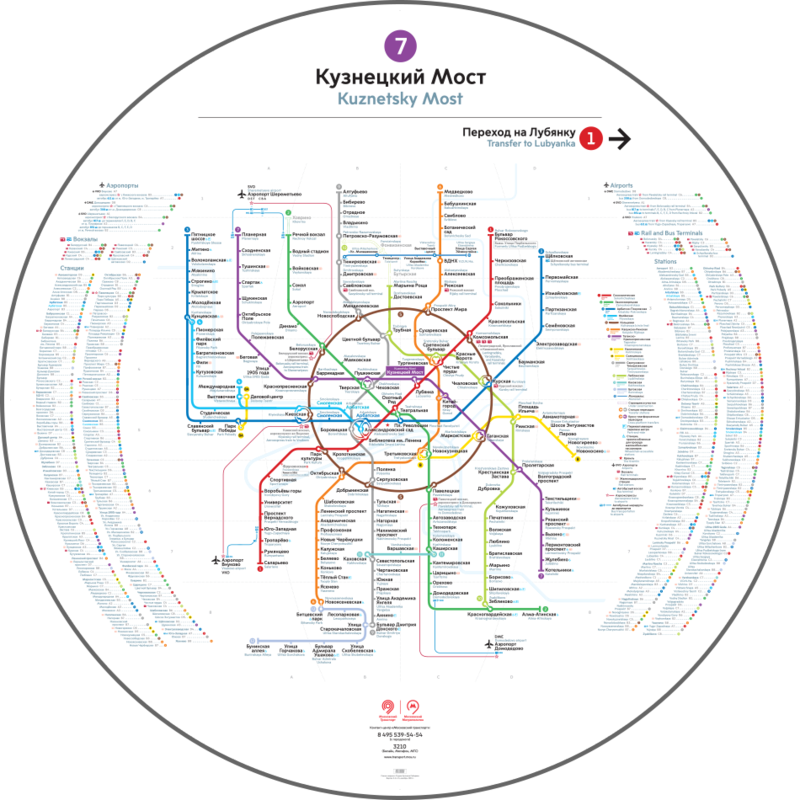 Traditional elements were adapted for the round format.